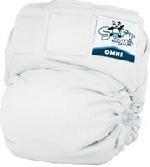 SoftBums H-PodsNow taking SoftBums on the go has become even easier!! 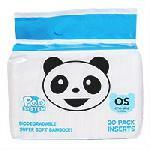 Introducing the newest addition to the SoftBums Pod System - Hybrid DISPOSABLE INSERTS!! 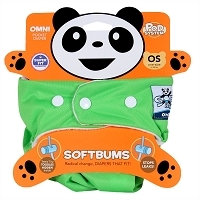 SoftBums H-Pods are the disposable insert you've been waiting for. 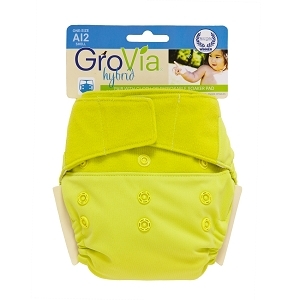 Made from a super soft BAMBOO viscose, they're soft andcomfortable on baby. And without a plastic backing you can use 2 or more of them together if you need to since the moisture can travel to the bottom when the top one is full. Stacking them together is even easier because they're so trim! 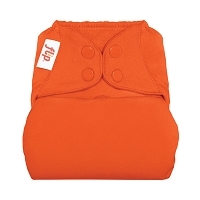 We've managed to make the H-Pod as absorbent as a Large Drytouch, and around the same size, but at only half the thickness! 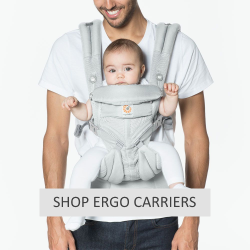 That means it fits newborns just as well as it does a 2 year old, and without any extra bulk! 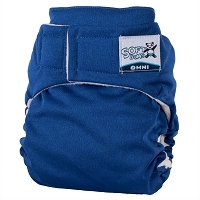 Stuff it in your Omni or lay it in your Echo, the new SoftBums H-Pod is ready for action! 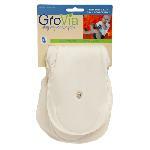 Made from super soft BAMBOO viscose!! 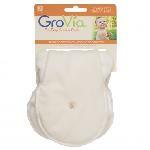 Use 1 for newborns or daytime light/med wetters, OR, use 2 for overnight and heavy wetters! 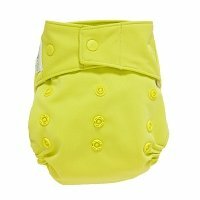 Keeps Baby Dry as a DryTouch Pod!